Kim Yo Jong attends a concert of the Moranbong Band with her brother and senior DPRK officials in March 2014 (Photo: NKLW file photo). 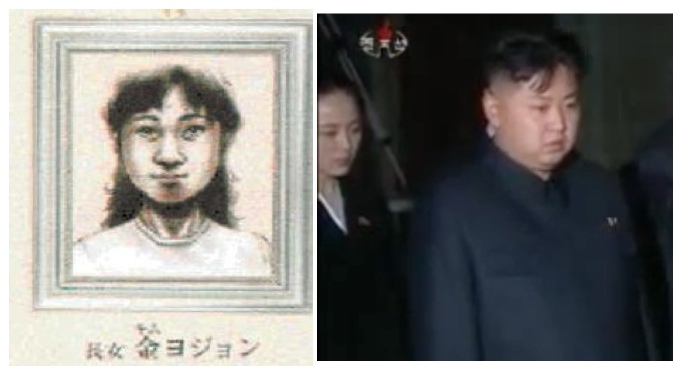 Kim Yo Jong as rendered by a sketch artist (L) and attending her father’s funeral in December 2011 (Photos: NKLW file photos). Kim Yo Jong (Kim Yo’-cho’ng) is a member of the Workers’ Party of Korea [WPK] Central Committee and deputy director of the WPK Propaganda and Agitation Department. She is the younger sister of supreme leader Kim Jong Un. Yo Jong works as one of her brother’s close aides, and since his accession manages his public events, itineraries and logistical needs, among other tasks. Yo Jong was born on September 26, 1987, the youngest child from Kim Jong Il’s relationship with Ko Yong Hui (Ko Yo’ng-hu’i). She was raised primarily in Ko’s residence on Ch’angkwang Hill in central Pyongyang, along with her older brothers, Kim Jong Chol (Kim Cho’ng-ch’o’l; born 1981) and Kim Jong Un (Kim Cho’ng-u’n; born 1983). The KJI-Ko family was largely sequestered behind the walls of residential compounds. It is not clear if Yo Jong joined her mother and and older brother Kim Jong Un on family excursions to China and Japan during the early 1990s. Like her older brothers and step (half) siblings, on her birthday and other special occasions she wore a Korean People’s Army [KPA] dress uniform to greet her father after which she received her birthday gifts at a family party. In the spring of 1996, Kim joined her brothers in Berne, Switzerland. From the spring of 1996 until December 2000 she attended an elementary school, close to where Jong Un studied, under the name “Kim Yo’ng-sun.” Home video footage taken by other students’ families showed Yo Jong at a school recital with Kim Jong Un. The Kims lived in a private home with a residence chief (holding the rank of WPK Central Committee deputy director) and several attendants and bodyguards. A school employee thought Kim was “overprotected” by “several women” that waited on her and drove her to school. The Kim children were visited regularly by their mother and other family members. To compensate for the social isolation, her father dispatched members of the Poch’o’nbo band and the Joy Brigades to serve as companions. During the 1990s, her mother Ko Yong Hui traveled to Switzerland and France to receive medical treatments for breast cancer. 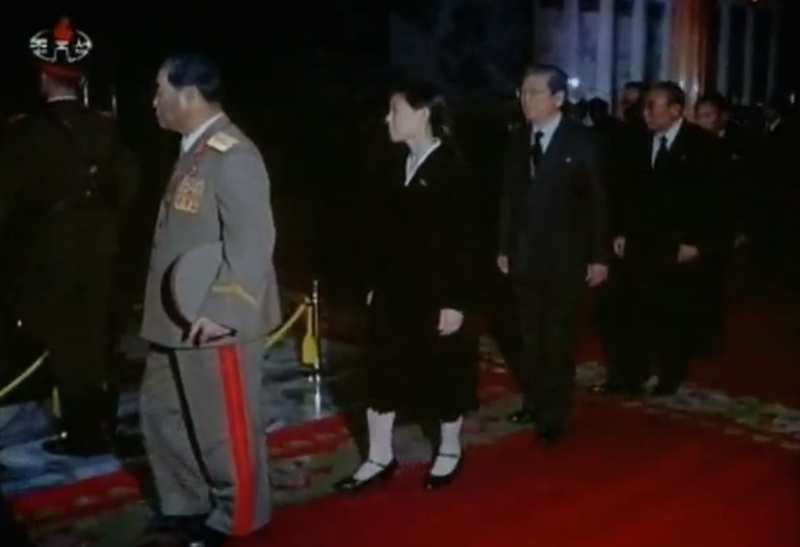 Kim Yo Jong returned to the DPRK in late 2000, having completed the US equivalent of sixth grade. It is not clear where or how she completed her secondary education. Yo Jong completed some coursework at Kim Il Sung University and older brothers attended special courses at Kim Il Sung Military University. She also completed some coursework at a western European university following her mother’s death in 2004. As early as 2002, Kim Jong Il proudly told foreign interlocutors that his youngest daughter (Yo Jong) was interested in politics and wanted a career in the DPRK’s political system. Kim Yo Jong’s whereabouts and activities until 2007 are not known. At that time, she sufficiently completed her education to be appointed a junior cadre in the central party, working under her father or her aunt, Kim Kyong Hui (Kim Kyo’ng-hu’i). After Kim Jong Il’s strokes in August and September 2008, Yo Jong joined her brother Kim Jong Un at their father’s bedside. When KJI, Kim Kyong Hui, Jang Song Taek and other core leadership finalized succession planning, they included a significant role for Kim Yo Jong, who joined KJI’s entourage of close aides and attended the late leader’s on-site visits with her aunt. 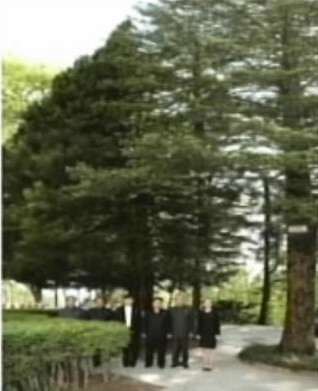 In May 2009, Kim Jong Il visited Wo’nsan University of Agriculture. Part of the university campus is housed in buildings constructed by German monks in the early 20th century, and the campus itself is located in close proximity to the Kim Family’s residential compound in Wo’nsan. At his visit, KJI was escorted by a large number of senior party, military and government officials. 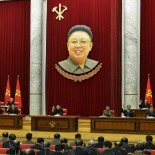 Also in attendance was Kim Jong Un, who KJI formally introduced to university and local party officials. Kim Jong Un posed for a commemorative photograph on the university’s campus with Korean Workers’ Party Propaganda Secretary Kim Ki Nam, as well as his older brother Jong Chol and Yo Jong. During 2009 and 2010 Kim Yo Jong was active in helping establish Kim Jong Un’s hereditary succession campaign. She worked in the National Defense Commission and Kim Jong Il’s Personal Secretariat. Kim joined the close aides and Kim Family members that attended KJI’s visits and inspections, but who remained largely in the background with their presence rarely photographed and unreported in DPRK state media. In September 2010, South Korean media identified a woman as Kim Yo Jong attending a photo-op of participants of the 3rd Korean Workers’ Party Conference. In the image, the woman reported to be Yo Jong is positioned with members of KJI’s staff. She stood next to Kim Ok, KJI’s fifth consort and technical secretary, and behind National Defense Commission Vice Chairman VMar Ri Yong Mu, a member of the Kim Family. Kim Yo Jong continued her behind-the-scenes work for her father and brother. By 2011 she was a regular member of KJI’s entourage, although it is not clear if she traveled with him on his trip to China in May of that year or his trip to Russia and China in August. Her last known reported public appearances during that time occurred during various events held for Kim Jong Il’s funeral in December 2011. On at least two occasions state media showed Yo Jong leading groups of senior party and security institutions in bowing at KJI’s casket. In a ceremony held prior to the departure of the cortege to Kim Il Sung Square, she stood between party elders Choe Yong Rim (at that time DPRK Premier) and Jon Pyong Ho, a leading munitions industry official. 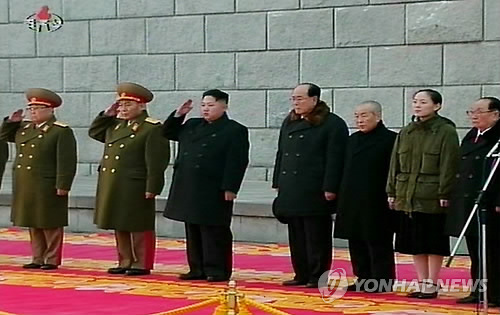 Kim Yo Jong (2nd L) files past her father’s casket in December 2011 (Photo: KCTV screen grab). 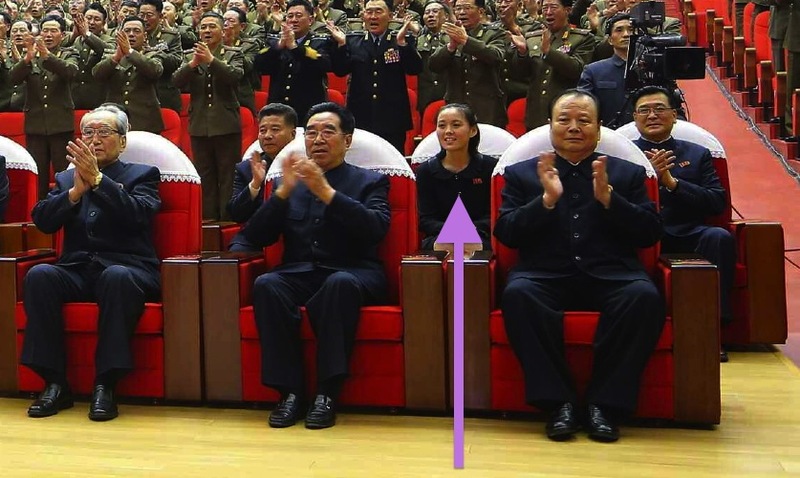 Since her brother’s accession to the supreme leadership of the DPRK, Kim Yo Jong has been routinely observed attending Kim Jong Un’s public appearances. She is usually attired in an olive green jacket commonly worn by the reporters and photographers that document KJU’s on-site visits and military field inspections. She presently works in KJU’s executive office where she manages his public appearances–including his itineraries, schedule, logistical needs and security arrangements. Kim Yo Jong has ties to the Guard Command and Ministry of State Security. On 9 March 2014 she was mentioned in a DPRK state media report when she voted in SPA elections. This was the first observed explicit mention of Kim Yo Jong as a senior DPRK official. On November 27, 2014 DPRK state media identified her as a deputy director of the KWP Propaganda and Agitation Department. According to ROK media, citing intelligence sources in China, Kim Yo Jong is currently married to the younger son of KWP Secretary Choe Ryong Hae. Her rumored husband works in the KWP Finance and Accounting Department and is said to have ties to Office #39.